Loaded fries with bacon and cheese. 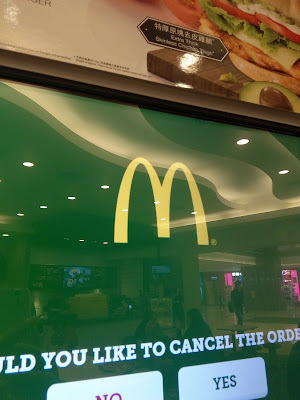 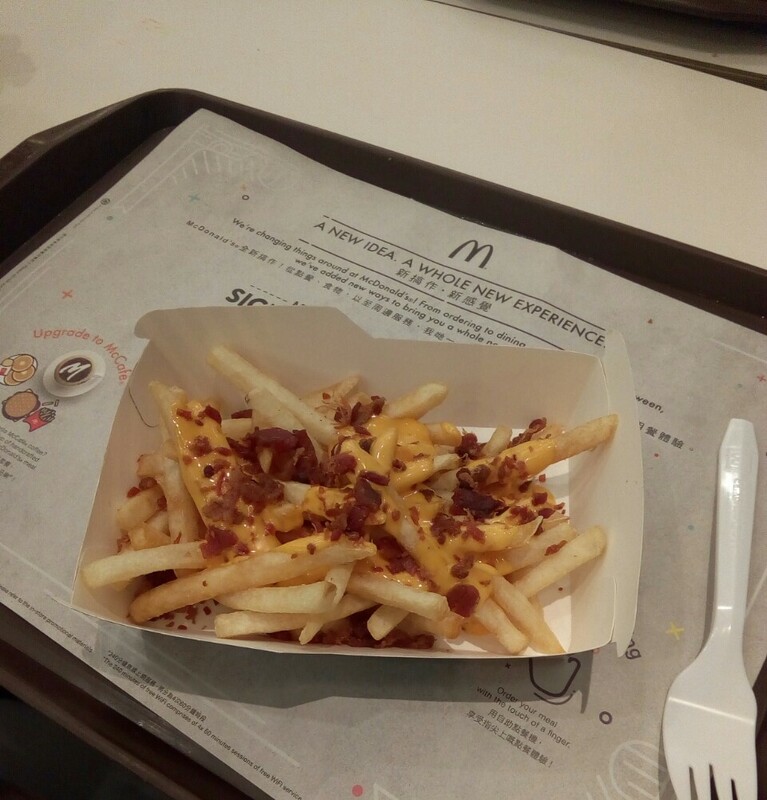 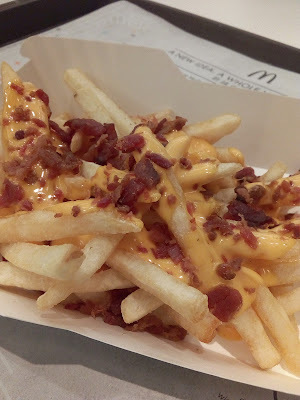 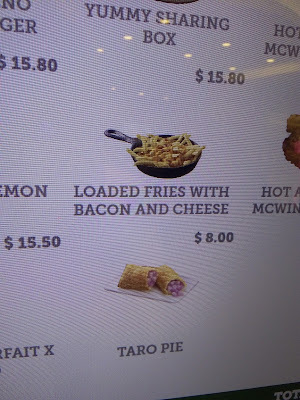 The fries tasted quite nice because of the coarse salty bacons bits but the cheese sauce tasted more like burger sauce with cheese flavouring added to it. 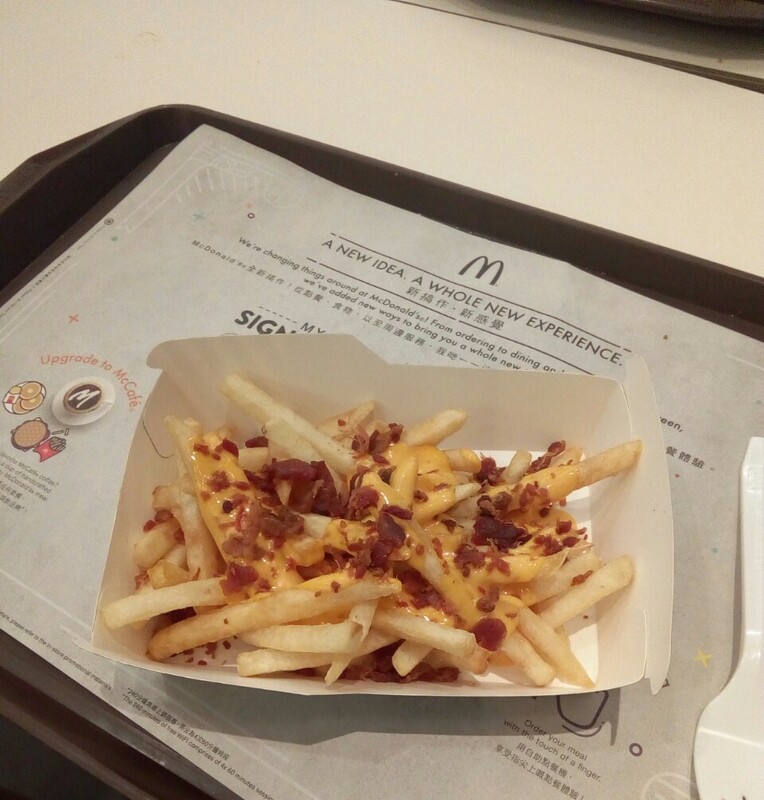 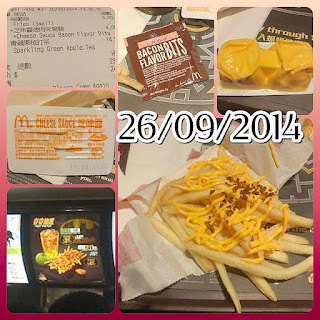 In 2014, there was a similar thing by McDonalds with cheese sauce and bacon bits that you garnish yourself.